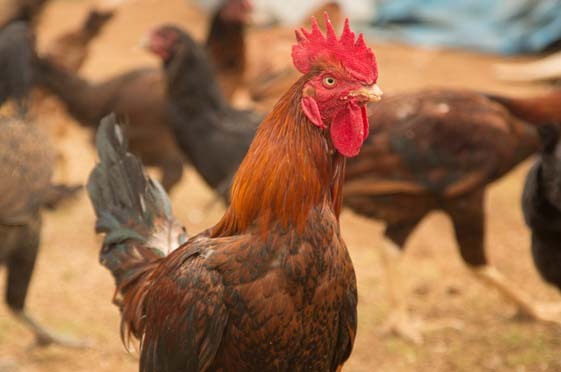 The Birdsmen’s Poultry Farm, traditionally from an illustrious farm background have been the pioneers in organic farming for more than 10 years. Back in 2010, much before the organic frenzy caught on, we began our dairy venture, Aria Dairy Farms which delivers organic, farm fresh, A2 desi cow milk right to the consumer homes. Right now our organisation caters to more than 1000 happy families who relish organically produced milk daily. Through this venture we were also able to identify that there was a huge market for free range, traditionally bred country chickens. In 2017, we began our new venture in the poultry industry — The Birdsmen’s Pride — wherein we raise, feed, slaughter and deliver free range organic country chickens right to the doorstep of consumers. Al-Fithra Chicken 2018 • 53, Veerabathran St, Thirumurthy Nagar, Nungambakkam, Chennai: 600034 • Tel: 8939996480. All the work on the farm is managed by professionals with years of experience in agriculture and poultry farming and a deep understanding of the local culture and environment. The scientific and technical processes are undertaken by an expert crew that are constantly updating themselves with the latest technology in the field. All the singular units in the farm, work cohesively to effectively deliver the best organic produce for the consumers. Apart from technical expertise, the entire team is committed to ensure ethical practises that are beneficial for the growth of the society and instill a long standing trust relationship with the consumers.